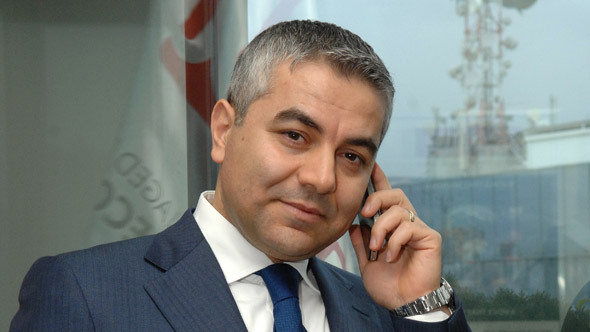 What is your assessment of the ICT and telecoms sector and the outlook for 2012 in Lebanon. What are the trends? What is the competition like? What is the mobile penetration? Can you give us a descriptive overview of the sector and its growth? 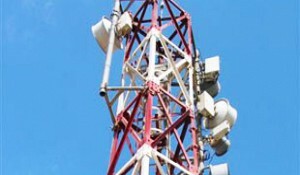 The telecom sector in Lebanon is moving forward at a very rapid pace. Over the past year and a half, the sector has been witnessing impressive growth, new innovations and major technology developments. 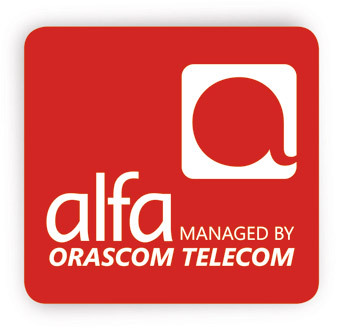 Last time we met, in 2010, we (Orascom Telecom) were at an early stage of handling the management of the Alfa network on behalf of the Lebanese government represented by the Lebanese Ministry of Telecommunications (MoT), and we could not say much about what was going to happen. 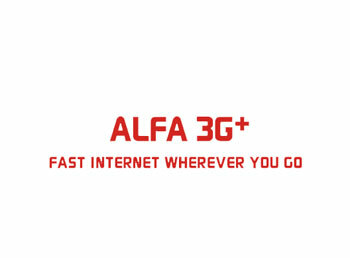 But now and looking back at the last three & a half years since we took over the management of Alfa, I can say that and with the full support we had from MoT, we were able to induce major notable and positive changes in the company especially in terms of upgrading the infrastructure and enhancing network coverage and outreach, this, in addition to introducing latest technologies to our subscribers, on top of all was the roll out of the third generation of mobile technology (3G+) in Lebanon in October 2011, using the latest HSPA+ technology, which is a major breakthrough for the country. It is true that we are a bit late in coming to this technology, but now we are finally on the telecommunications map in the Middle East in terms of offering latest technologies to subscribers. For 2012, we are implementing an aggressive plan for developing the mobile sector further on both the technical and commercial levels, especially when it comes to enhancing the quality of mobile service and improving network coverage and as well continue to work on bringing in the latest mobile technologies to the local Lebanese mobile market (i.e. introducing 4G). The sector is hereby currently moving in the right direction. 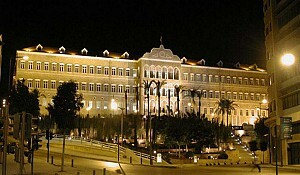 Investments are flowing in from the Lebanese Ministry of Telecommunications (MoT) which is in charge of all investment decisions in the sector. The general direction is positive. The Ministry of Telecommunications has put plans in place to move ahead in this sector and we are seeing lots of initiatives in this regard. To give you a few facts and figures for the mobile sector in general and for Alfa in particular, we are now close to 85% mobile penetration in Lebanon, from 25% in 2009. We have managed to triple mobile penetration in the country over the last three years and the objective is to reach at least 90% penetration and even more by the end of this year. In regards to Alfa, we have seen an impressive growth in our subscriber base to 1.8 million active subscribers today from just 600,000 in 2009, and we are glad to have achieved this growth in this short interval of time. Regarding mobile broadband, and since launching 3G+ mobile wireless services in October 2011, we have noticed a considerable increase in mobile data penetration, and so far 25% of our subscriber base or around 450,000 subscribers are subscribed to one of our 3G+ data plans. The bottlenecks we are facing today are mainly related to infrastructure; particularly, when you launch high-speed internet or mobile broadband, you need to rely on a fiber backbone and this is not currently available in Lebanon, except for a few places along the main cities' axes. 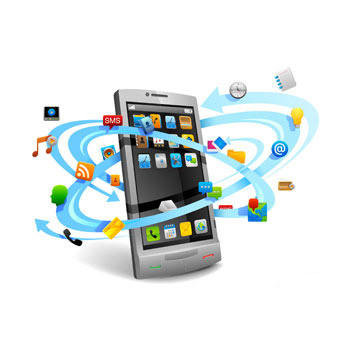 Do you think you will be able to achieve 90% mobile penetration by the end of this year? We have introduced several reductions on prices this year specifically on Blackberry services and we offered other reductions for both prepaid and postpaid subscribers, through two new exclusive products. This has been done in close coordination with the Ministry of Telecommunications, so, with these reductions in place and the openness of the Ministry to allow some sort of competition in the market, I can say that we are on the right track to increase mobile penetration and grow the sector, enabling people to get connected everywhere in Lebanon. 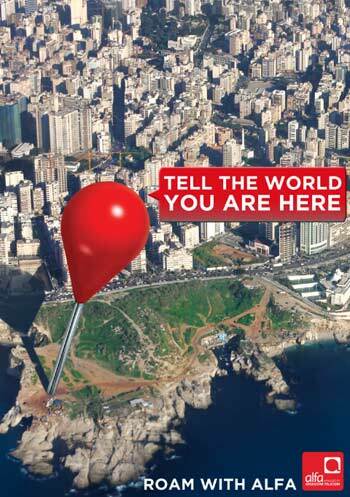 International gateways in Lebanon are owned and managed by the Ministry of Telecommunications (MoT). According to the latest reports from the MoT, the international bandwidth and capacity to connect to the rest of the world is currently almost ten times more than last year. We therefore have ample capacity today in terms of international connectivity. Let's talk about regulatory environment. As we said earlier, the Ministry is taking over. What is your take on it, what do you see? We cannot really comment on this one as it belongs to MoT to set their policies based on a national vision and strategy. What are some of the laws that you are working on to improve the quality of the service? What is the specific legislation you are fighting for? The bottlenecks we are facing today are mainly related to infrastructure; particularly, when you launch high-speed internet or mobile broadband, you need to rely on a fibre backbone and this is not currently available in Lebanon, except for a few places along the main cities' axes. This is therefore one of the issues we are facing today in terms of expanding our outreach and getting people in remote areas connected through mobile broadband and high-speed internet. But this is something you cannot influence – it is something that the government has to work on. The government takes the investment decisions. Investment has been decided few years ago and the roll-out is taking place. On the mobile side, we have managed to come up with Plan B, or back-up systems (microwave links), until this backbone is in place. 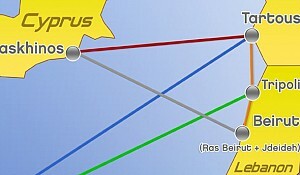 The fiber optics project is currently underway and we hope that the backbone will be in place if not by end of this year, then in 2013. Let's talk a bit about privatization. What have its stages been? What do you see looming on the horizon? We are still at the same point as when we discussed this two years ago: the situation is the same and nothing has moved on that front. So currently there isn't any discussion or debate around privatizing this sector any time soon. We have spoken about the growth in the industry, which is also reflected in your performance numbers, which have been astounding, with 80% penetration. What, in your opinion, are the key challenges that you are going to be facing now and in the future? One major challenge to start with is the infrastructure, as I mentioned. This is a bottleneck. However, with the goodwill and investment decisions that are made by the Ministry of Telecommunications, we are sure that this is not going to be a major hurdle in the next couple of years. Another challenge we face today is the lack of a long-term investment plan that can guarantee ongoing and continuous update for the network infrastructure. One other aspect that is also probably slowing the growth a bit is the little flexibility we have on the pricing side; since the network is owned by the government and the Ministry to Telecommunications, we as manager have little flexibility in impacting prices. Nevertheless, it should be noted that with the current Minister and his team at the Ministry in place, we have seen great progress and a very encouraging approach. All indicators in the sector are positive. As I said, we have seen willingness from the Ministry to offer flexibility to us as operators, especially in terms of tailoring new products and services and even slashing prices in order to meet the demand that is out there in the market. This has had a good impact so far on the business; the sector today is booming and huge growth opportunities are looming ahead. To give you an example, we introduced in Q2, 2012 new Blackberry (BB) offers, where we reduced, in cooperation with the Ministry and Research in Motion (RIM), subscription fees to the service by almost 70%. We have seen a massive response from the market to this offer which included four different bundles and our base of Blackberry subscribers has seen impressive growth since then increasing to over 100,000 subscribers. Furthermore, if you look today at the mobile telecom market in Lebanon today in terms of average revenue per user (ARPU), the country is considered to have one of the highest ARPU rates in the world, with about 40 dollars ARPU per subscriber. Given the local economy and the local GDP per capita, this is something really huge in terms of the telecom budget that people are putting aside for their telecom needs. Slashing prices, as well as having certain flexibility toward different approaches such as bundles, packages and so on, would help in growing this sector and in increasing penetration. It would also lead to increased revenues in the mid- and long-term. Data usage is also expected to pick up. Since launching 3G+ services in October last year and within the span of just five to six months we have managed to get around 20% of our base migrated or adopting the new 3G+ data plans, and although the prices are still a bit higher than they are in the region, there is a plan in the pipeline to reconsider these rates and prices and offer new reduced rates that would enable more people to join the data wave and smartphone revolution that is currently sweeping the entire globe. So these are some of the external challenges. I would like to ask you about the internal challenges that you are facing as well. You want to offer different, innovative products, but you are held back by the regulators; there is not much differentiation that can be offered in the market. This is not the case anymore as I explained earlier. For example, we exclusively launched two new products in the market this year, one targeting the youth entitled "U-Chat", and the other addresses postpaid subscribers, titled "Midline." Through the exclusive U-Chat prepaid plan, we are offering two mobile lines at $9 & $17.5 offering phone calling, texting and value added prepaid services at cheaper prices, and allowing users to benefit from several features like the ability of making free phone calls to one preferred number during weekends. We have seen an impressive response to this offer. It is booming in the market. 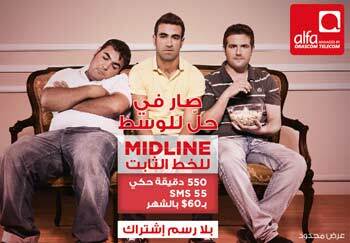 On the other hand, and through our Midline package (launched in August) we are offering to the postpaid subscriber two bundles for $35 & $60 respectively, both providing allocated talking minutes & SMS, and are happy with the market response we are witnessing so far to this offer. The Ministry is therefore enabling a sort of differentiation and creativity by letting us, offer the right ideas that we see fitting in with our strategy and our operating model, in order to meet our customers' needs, without obliging the other side to follow the same trends. This is of course a differentiator in terms of product. One very important strategic element of differentiation is of course brand. The Alfa brand is a young, innovative brand with those values attached to it. This is of course of the utmost importance. How are you playing the brand game vis-a-vis your competitor? We are very active when it comes to our brand. If you look around the market you will see that Alfa is present almost everywhere, especially in all the events targeting the younger population. One aspect that also differentiates us from the rest of the market and the ICT sector in Lebanon is our Corporate Social Responsibility (CSR) program "Alfa 4-Life". 'Alfa 4-life' has been for six years now supporting NGOs taking care of children with special needs. Our CSR commitment goes beyond financial contributions for the NGOs, to include creating communication therapy programs that help the children achieve their potential, full citizenship and social integration. This commitment to the society is in turn giving our brand a lot of exposure and lending it the human sense that we sometimes miss in high-tech organizations. Another differentiator in terms of Alfa versus the competition is our customer service. It is true that in the past we had almost the same prices, products and strategy as the competition, but customer service or customer intimacy is a strategic area where you can play a fundamental role in terms of differentiating yourself. I would say that our customer service today is closer to the customer in terms of understanding our customers' needs and facilitating their day to day mobile needs. So that covers Corporate Social Responsibility, customer service and youth innovation. Has anything been done in terms of the seriousness of the brand? Are you aiming to attach business or corporate values to the brand as well, because in the developed countries it is mostly the corporates that are consumers of the high, value-added services? This is on the road map, although it is not really happening at the moment. Or rather, it is happening, but in a shy way, not really very aggressively. The corporate sector in Lebanon is not as big as you might think, so we are trying to look at it and see exactly what kind of input or contribution we need to have in order to grow this as well in terms of business. It is a promising area and it is also on the road map going forward. Lastly, what is the strategy for the next three years? I know that in 6 months time, in December, you are due to renew the contract, so what do you have planned? The first objective is to get the contract renewed. This is the major objective for us in terms of management of this organisation. In terms of Alfa as an operator, our strategy for the next three years is to modernize our entire infrastructure. We have embarked on an extensive modernization plan while implementing our 3G+ project last year and we are continuing with it this year, and our target is to make this exercise a continuous one. Technology does not stop. You have to be up-to-date on a daily basis. Every day when you wake up in the morning you discover new things, so we have a strategy to stay up to speed on that front. And on the road map this year and for the next couple of years is introducing LTE in Lebanon. True, we extended 3G+ services with latest HSPA+ technology last year, but we do not want to wait another five or six years to move on to the next level, which is LTE or 4G. We therefore have plans to introduce 4G and LTE in Lebanon by the second half of this year, and have actually actively started on this. 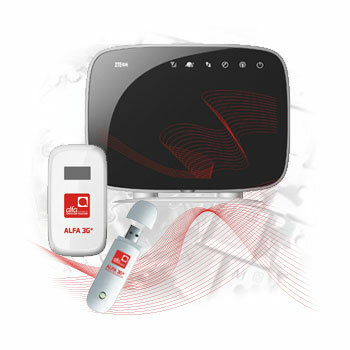 By the end of 2012, we will hopefully have partial 4G- LTE deployment for Alfa in Lebanon, not only for mobile broadband and data, but also for voice services. One of our major objectives for next year is to roll out voice over LTE in Lebanon, to catch up with or even be ahead of the rest of the developing countries around the world. Hence, growing this sector is another objective. Growing revenues, or at least maintaining a steady growth year after year is also very important for us. There is still big potential in Lebanon and as I said previously, we can easily cross 100% penetration. I hope we will reach this objective by 2013 and our objective is to take it even further and reach 150% penetration in the next three years. Machine-to-machine applications is also a field that we need to tackle extensively as it is starting to grow in Lebanon. And is there anything else you would like to highlight? In conclusion, I would just like to highlight the fact that the Lebanese telecoms sector has been back on track for the past year and a half now. What we need now is for the major players in Lebanon, including Alfa, under Orascom Telecom's management, and the other organisations, to make a huge effort to move this sector forward and to continue with the growth story. We don't want to stop where we are; we want to stay ahead of the curve and up to scratch in terms of state of the art technologies. We have every intention of making this happen and we will push for it. I would like to also take this opportunity to reinstate our commitment as a manager of Alfa, to the society in which we operate. We are always exploring possibilities to expand our support for various initiatives from social society in Lebanon since CSR is deep-rooted & embedded in our business strategy. In addition, Alfa will be moving towards sustainability as an umbrella for its corporate culture in order to make of the sustainability concept one of the pillars of its management strategy. We are eager to implement this strategy and make of Alfa a beacon in CSR and sustainability among Lebanese corporations.